The Hanover Police Department is alerting residents of a phone fraud after reports of a caller claiming to be from the Hanover Police department. 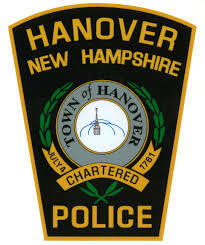 According to the complaint, the caller’s ID shows the Hanover Police telephone number of (603)643-2222, but the originating number is hidden. In these scam calls, the caller claims the recipient owes outstanding fines and demands payment. If the recipient is suspicious or attempts to disconnect the call, they may be told an arrest warrant would be issued. In recent weeks, similar scams have been ongoing in the area, with parties posing as or claiming to be from the Grafton County Sheriff’s Office or the Internal Revenue Service. If you are suspicious of a call or believe you have been defrauded, please contact the Hanover Police Department at 603-643-2222. The town of Hanover reminds residents to wear bright colors when going into the woods since the deer-hunting season has begun. The trails of Hanover’s Conservation lands, including the Trescott Water Company Lands, are open to hunters and hikers alike so be aware of your surroundings and know the dates for hunting deer. If a landowner is concerned about the number of deer in Hanover and you have enough land for hunting, please consider inviting hunters onto your property. You can instruct them when to hunt, where to hunt and you can require them to take doe to help reduce the deer population. Governor Chris Sununu issued an Executive Order on Tuesday to establish a Lake Sunapee Public Boat Access Develop Commission. The fifteen-member commission will include members from the towns of Newbury, New London and Sunapee with the Chair being appointed by the Governor. The Commission will meet at the call of Chair at least once a month. The Commission is charged with making a report by evaluating the following: Potential for expansion of existing Lake Sunapee public access points, traffic and boating safety, construction and development costs, input from public and private stakeholders, environmental concerns, safety, aesthetic and lifestyle impacts to residents on Lake Sunapee, and any other factors the Commission deems relevant to the evaluation.